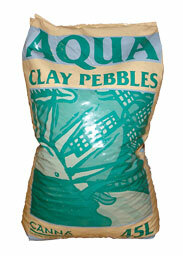 Baked clay pebbles are suitable for Hydroponics systems in which nutrients are carefully controlled in water solution. Clay pebbles are inert, pH neutral and do not contain any nutrient value. 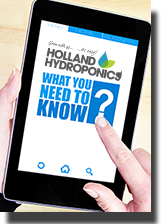 It is an ecologically sustainable and re-usable growing medium because of its ability to be cleaned and sterilised. The VitaLink Clay Pebbles are 8-20mm clay pellets, perfect for growing hydroponically. The lower bulk density of the clay pellets means they are lighter, giving better water retention and aeration. Canna Aqua Clay Pebbles are an ideal substrate for those using hydroponic systems such as Deep Water Culture or Flood & Drain systems as they not only give support to your plants but also help with aeration and drainage.